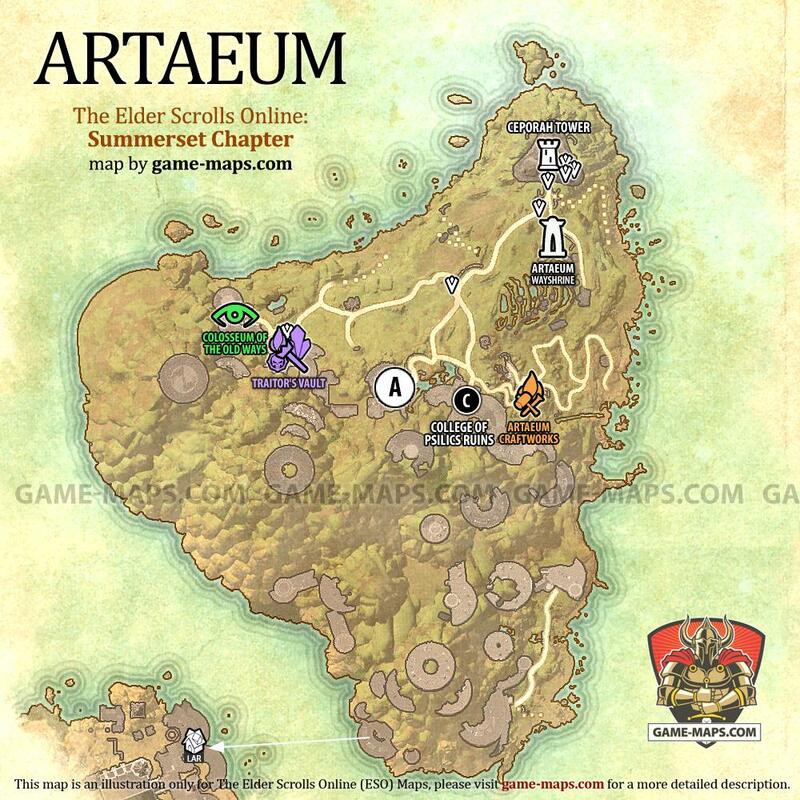 Artaeum zone map for The Elder Scrolls Online: Summerset. Delves, World Bosses, Quest Hubs and Skyshards in Summerset. Artaeum zone map. The Elder Scrolls Online: Summerset - ESO Maps, Guides & Walkthroughs. Ritemaster lachesis of the Psijic Order plans to use an augury ritual to reveal the secrets of the strange pearl we recovered from the Monastery of Serene Harmony. The Ritemaster asked me to go to Sotha Sil's study and find his acolyte, Oriandra. I need to ask her for the amplification elixir to increase the power of the Order's augury ritual cast on the pearl. Loremaster Celarus, a prestigious Psijic monk, invited me to join the Psijic Order. My first task involves closing breaches in time on Summerset Isle. I must go speak with Loremaster Celarus's apprentice, Josajeh, in the Athenaeum. She should be able to direct me to the objects I need to complete my task.